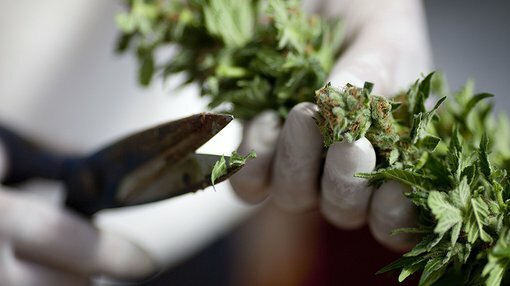 Diversified investment group, Chapmans (ASX: CHP) announced on Tuesday that it had entered into a binding Heads of Agreement (HOA) with MJ Life Sciences (MJLS) with a view to making a strategic investment of $500,000 in MJLS, an Australian special-purpose company established with the aim of becoming a leading global medicinal cannabis holding and investment company. MJLS is a direct investor in Caziwell Inc., owner of the established North American medicinal cannabis brand and business, Aunt Zelda’s, with convertible note rights of up to 49.99% in Caziwell Inc.
As a company targeting high growth investments, MJLS ticks the boxes for Chapmans. Under the terms of the Heads of Agreement, CHP will acquire a 50% holding in the issued capital of MJLS and will have equal board representation. CHP also said that subsequent to the completion of the initial investment it would seek to make further investments in MJLS to support its investment goals. Management expects to complete due diligence within the next 30 days. This initiative replaces the company’s previously announced proposed investment in the Aunt Zelda’s medicinal cannabis business as this will not be proceeding. Management sees a direct investment in MJLS as providing a superior opportunity with better strategic advantages and the prospect of strong shareholder returns. As it is early stages in this deal and as its Aunt Zelda deal fell over, it is important for investors to seek professional financial advice before making an investment decision in this stock. MJLS is owned by three of the leading principals in the rapidly expanding Australian and global medicinal cannabis sector, Harry Karelis, Jason Peterson and Dr Stewart Washer. These three executives have strong operational and transactional experience in the medicinal cannabis sector and are founders and directors of ASX-listed medicinal cannabis sector companies, Auscann Group Holdings (ASX: AC8) and Zelda Therapeutics (ASX: ZLD).